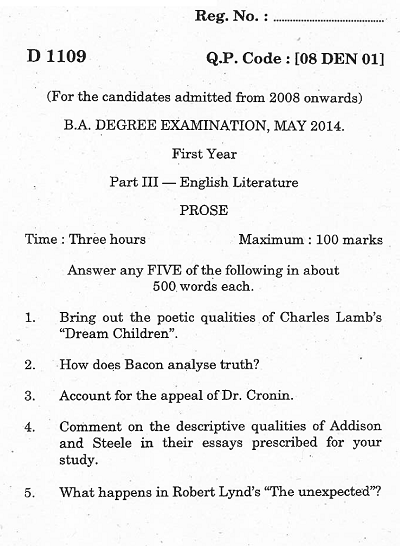 Searching for Bharathiar University BA English Part III - English Literature old question papers? Hereunder is a paper name PROSE that is suitable for first year BA examination of this university. The exam was held in the year may 2014. Read the contents of the question paper from scanned image of the original question paper.